Craftivists unite! 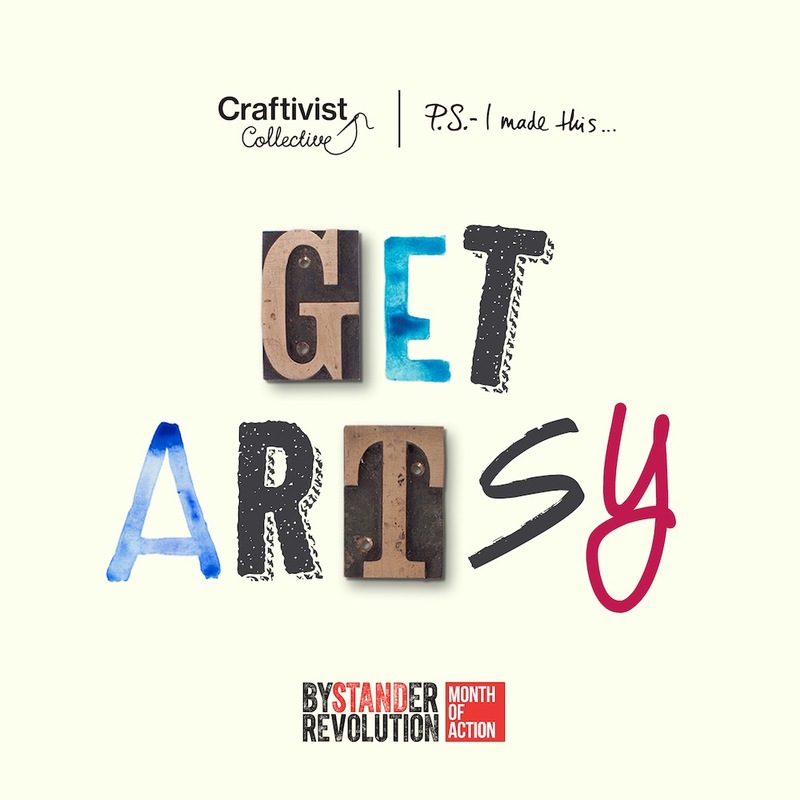 We are proud to present our craftivism challenge to do as part of the global Bystander Revolution and show how to take the power out of bullying. Let’s improve our world one stitch at a time. 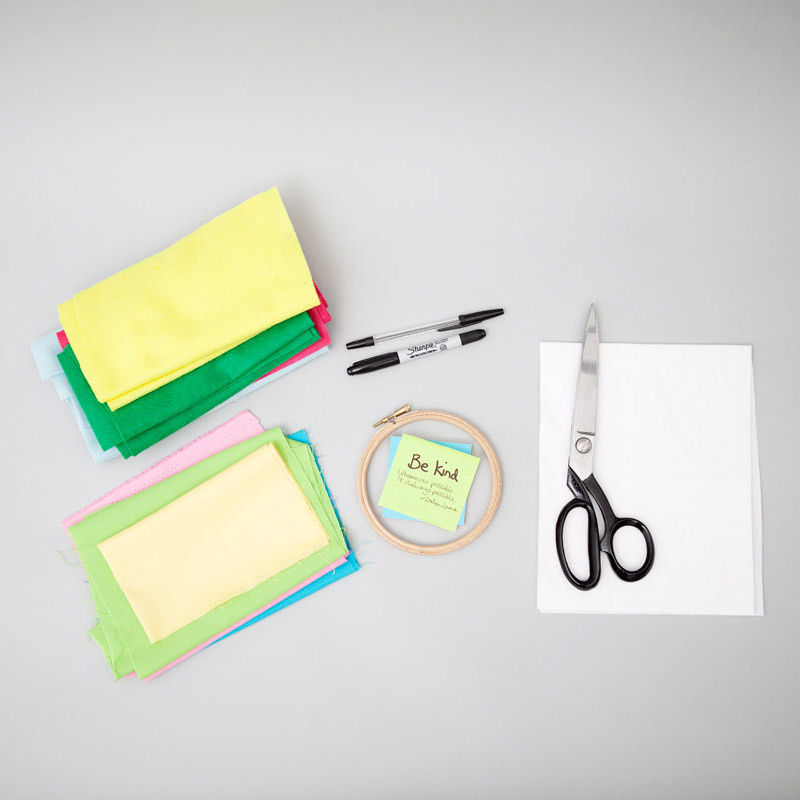 Join our ‘gentle protest’ and create embroidered post-it notes (yep, you heard right!) to remind us all to be part of the change we wish to see in the world, where everyone is treated how we would like to be treated. 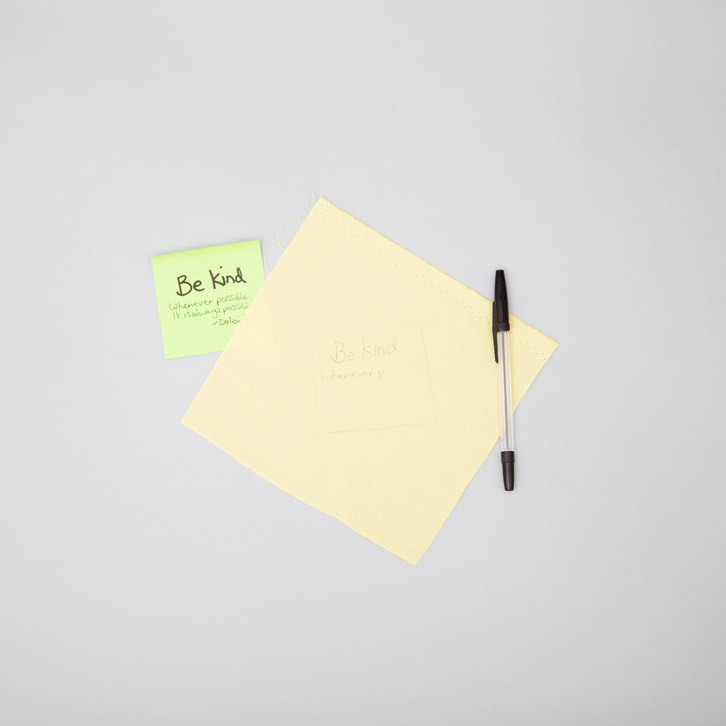 In this fast-paced world, a physical object like a post-it can be a powerful tool to take us out of our auto-pilot-robotic actions and remind us to stop, think and strive to be our best selves in all that we say and do. I use them often! 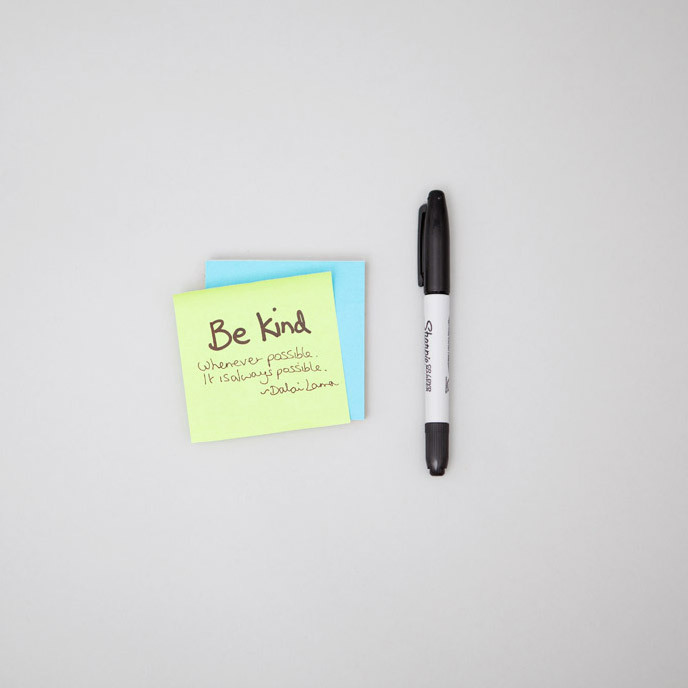 It’s easy to forget to think about how our actions affect others when we are focused on meeting deadlines. Often we are so caught up with our own activities and concerns we don’t notice if anyone around us is hurt (that can be the bullied or the bully). 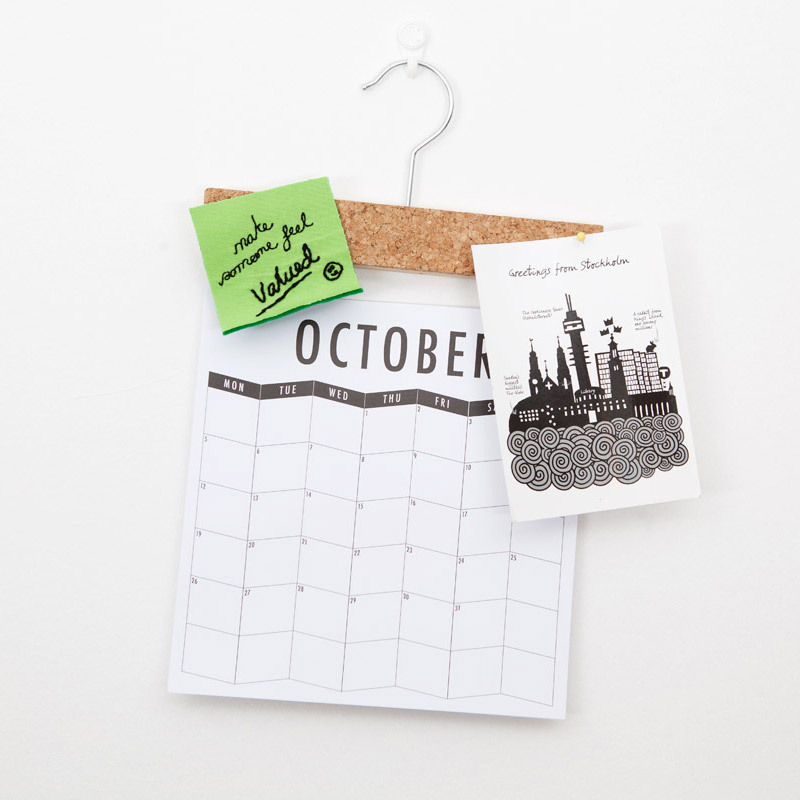 Take some time to slow down and join us in some craftivism (activism using craft). 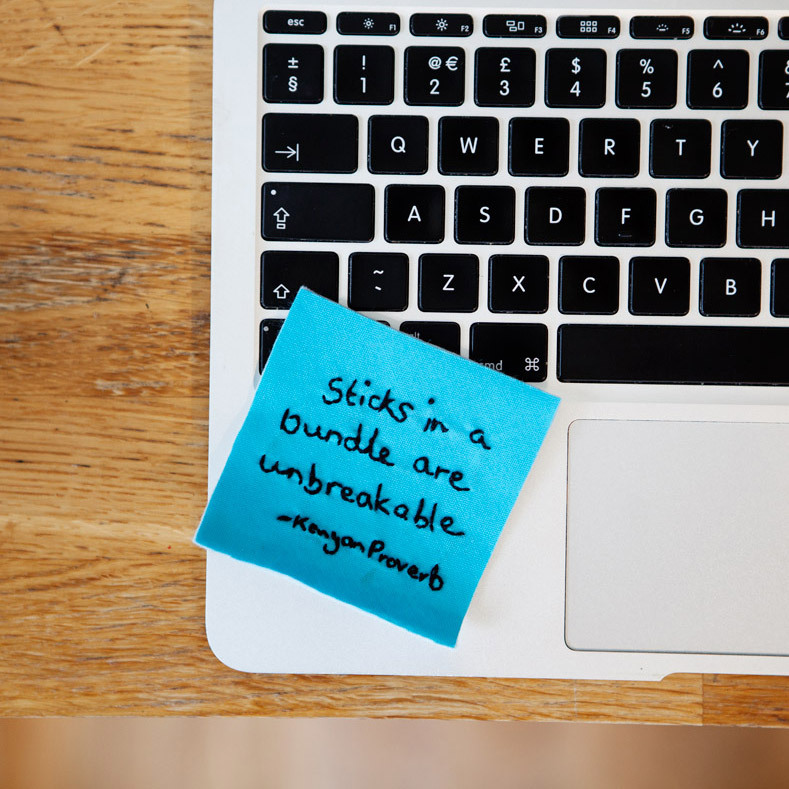 Make time to craft your thoughts into pretty embroidered post-it notes. For the changemaker simple repetitive hand stitching can be a powerful tool to be mindful of our actions and words and how we can live intentionally to help not to harm others. Use our #crafterthought questions when your brain is wandering off to reflect on the message you are creating and how you can be part of this revolution. If I was being bullied how would I want people to help me? How can I show love to a bully to help them stop bullying others? Using my talents and voice how can I be part of the bystander revolution? 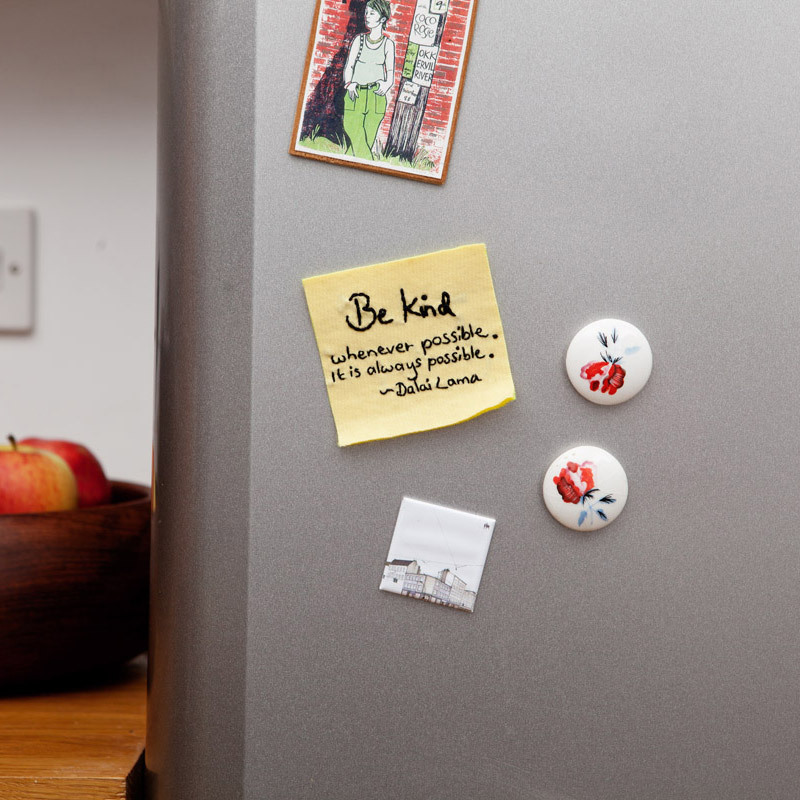 Decide if you are going to keep your embroidered post-its to help you tackle bullying or if you are going to give them as gifts, or quietly leave them for particular people to see, or put them up for many people to see such as in your school, office, park, cafe or anther public place (see our suggestions below). 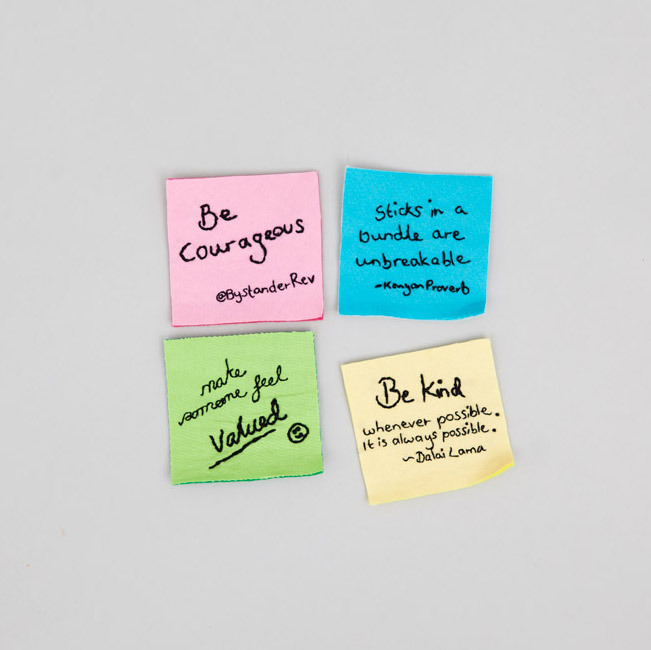 We hope these embroidered post-its not only show that someone is shown commitment in joining the Bystander Revolution by taking part in this slow form of activism but we hope this weekend creative campaign will also surprise and intrigue people, provoke thought, conversation and change. 2. 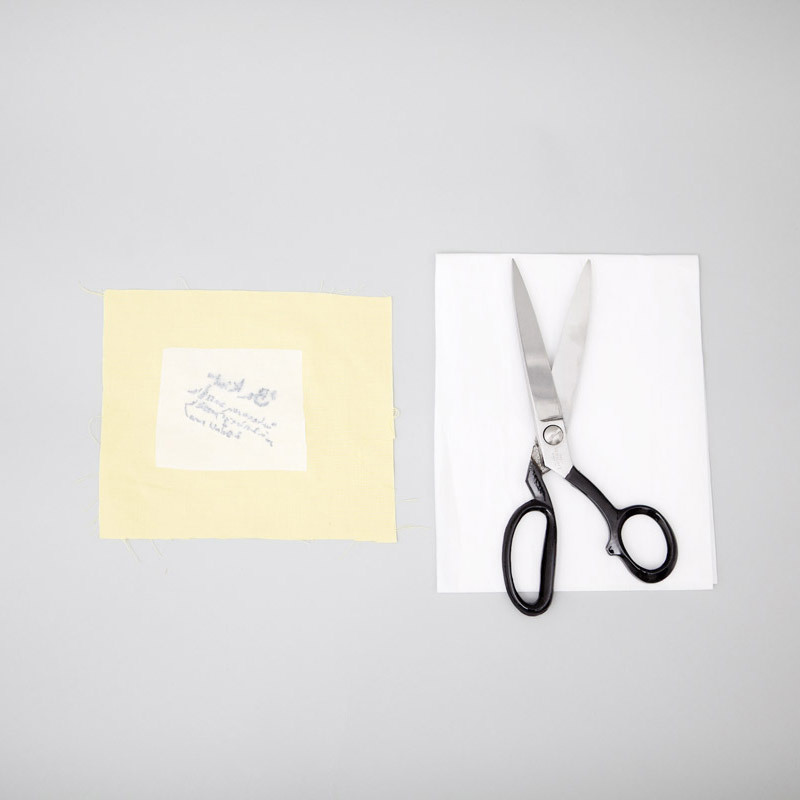 Trace your stencil onto your cotton fabric (you can use a light box or place against a window to see the message through it or the light of your computer screen) using a biro pen or fabric invisible ink pen. 3. Unravel and cut a stretch of thread the length of your arm from finger to shoulder This is the recommended length to use. Embroider your message using a simple back stitch. Use all 6 strands in your embroidery thread for thick words and 2-3 strands for smaller messages in thinner pen. 4. 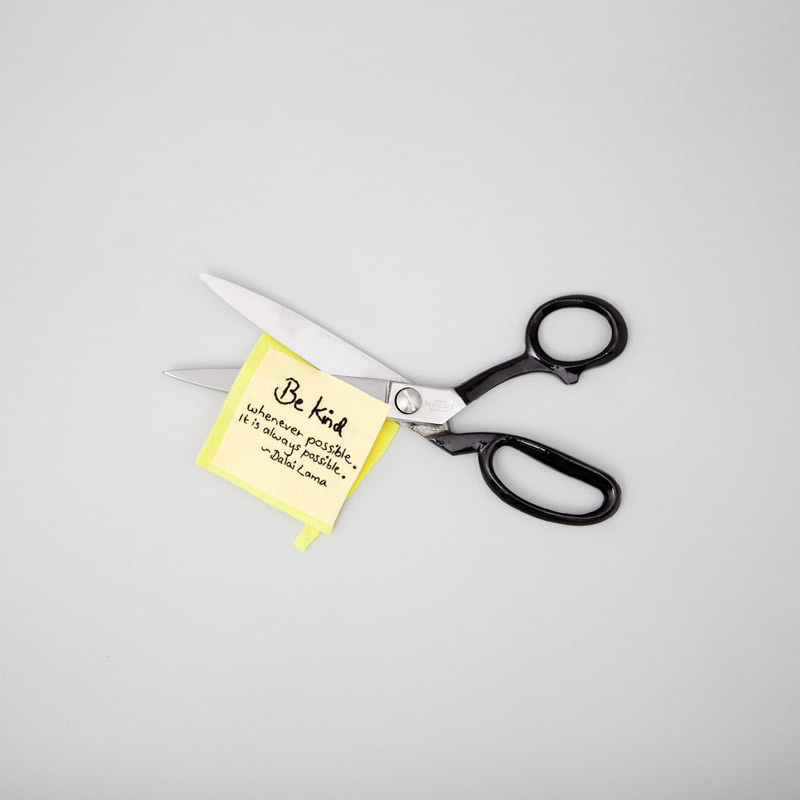 Cut out a piece of Bondaweb a little larger than your post-it shape and iron on to the back of your cotton fabric with the written message on the front. 5. 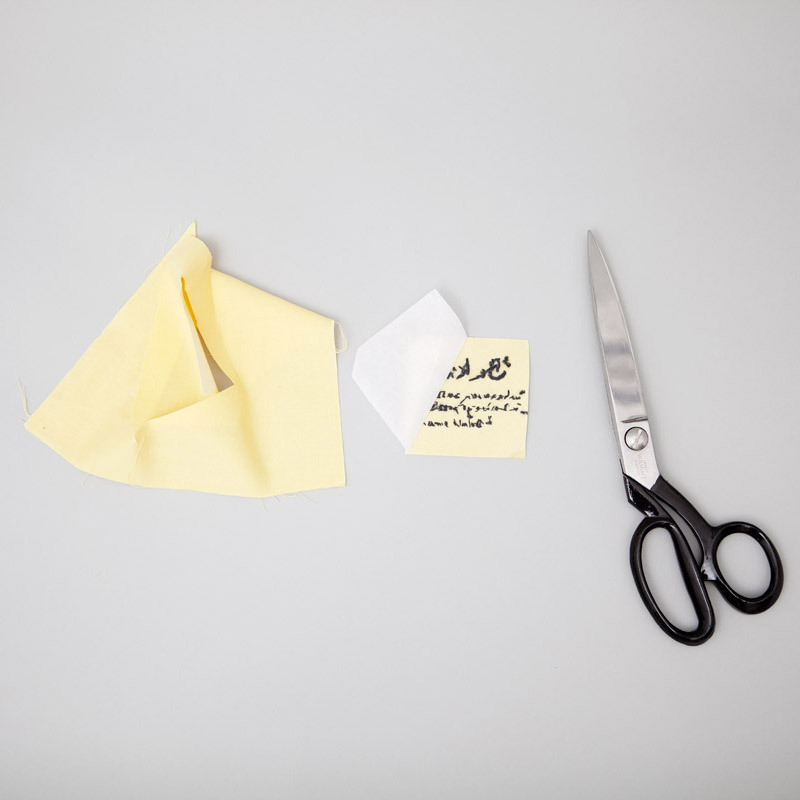 Place your post it on the back of your fabric, over your Bondaweb in the position you want your fabric post it and cut around with fabric scissors to the shape of a real post-it note size. 6. 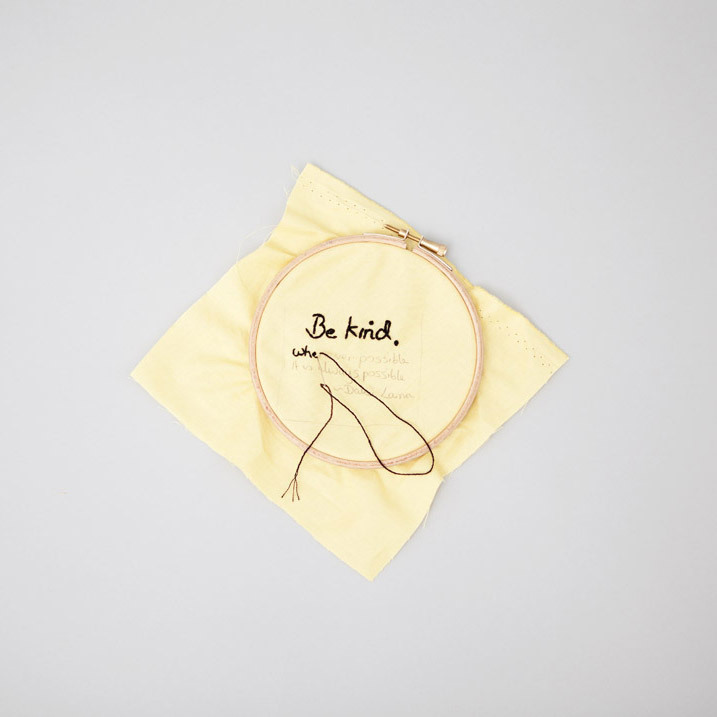 Peel off your Bondaweb and then place the cotton, Bondaweb facing directly onto your felt. 7. 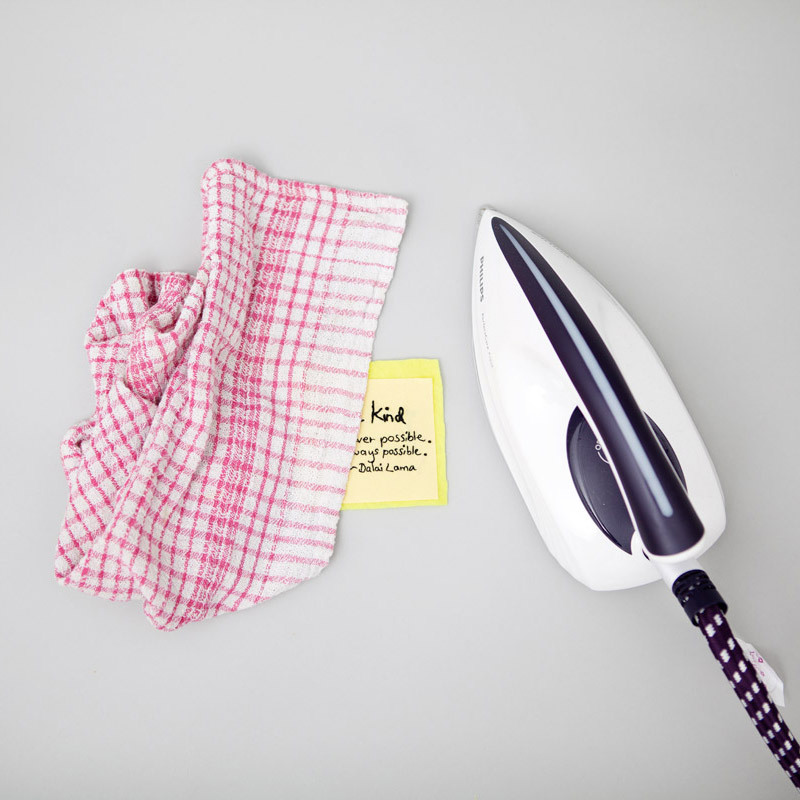 Put your iron on a low heat because felt can melt. 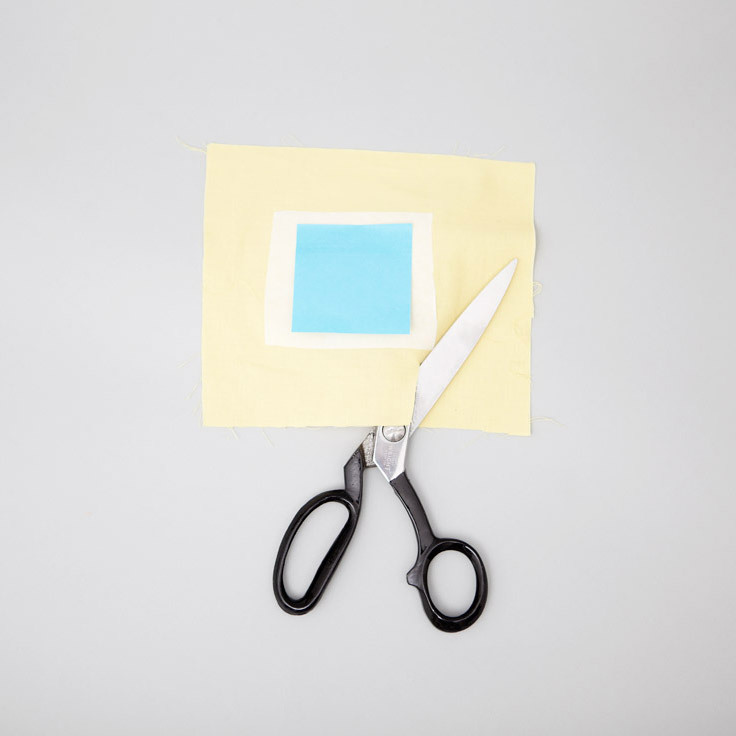 Put your felt and cotton post-it underneath a towel or thick fabric so your felt doesn’t melt and briefly iron over your fabrics so they fuse together. Founder of P.S. I Made This Erica Domesek will be sharing our project with her thousands of readers and followers! This project is very close to my heart and I hope it is to yours too. 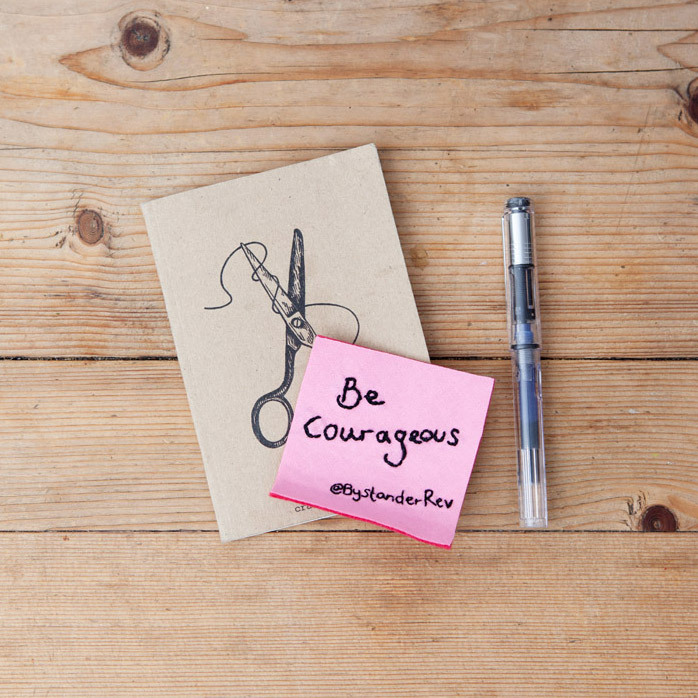 We can’t wait to see your creations shared online with fellow craftivists to show our love and kindness to victims of bullying and those bullying too (they are often going through pain too). I’m in! And I’ll promote it to my studio users. This is right up my street. i love this and the collective….ill try to start a post it but i cant send pictures……just moved back to uk and hope to get in touch…..im a feltmaker, a bit lost in the meaning of it(art and craft) all and happy to connect with you!!!! i love this and the collective .. i am alex and i have embroidery business yesterday i was start my new project but i am little confused but you give me a great idea thinks .. Very amazing and attractive way of making notes, Effective use of embroidery digitizing, Great work! Hi I love this idea, I’m a crafter and textile crazy and want to use my craft with purpose , I’m going to use this in a school project, fantastic! H Sarah!! I’m not as experienced with embroidery, so I’m wondering why there is cotton fabric in addition to the felt. Is there a benefit to having the two layers? Thank you! 4. The message is much easier to write in biro on cotton and then backstitch over. All of these added details make it look more thoughtful, carefully made and more beautiful which therefore makes it feel more valuable to the viewers. Thank you so much!!!! This all makes sense. I’m excited to try this project and put more love out there in the world. Looking forward to getting my supplies and sharing with you via # when I’m done.